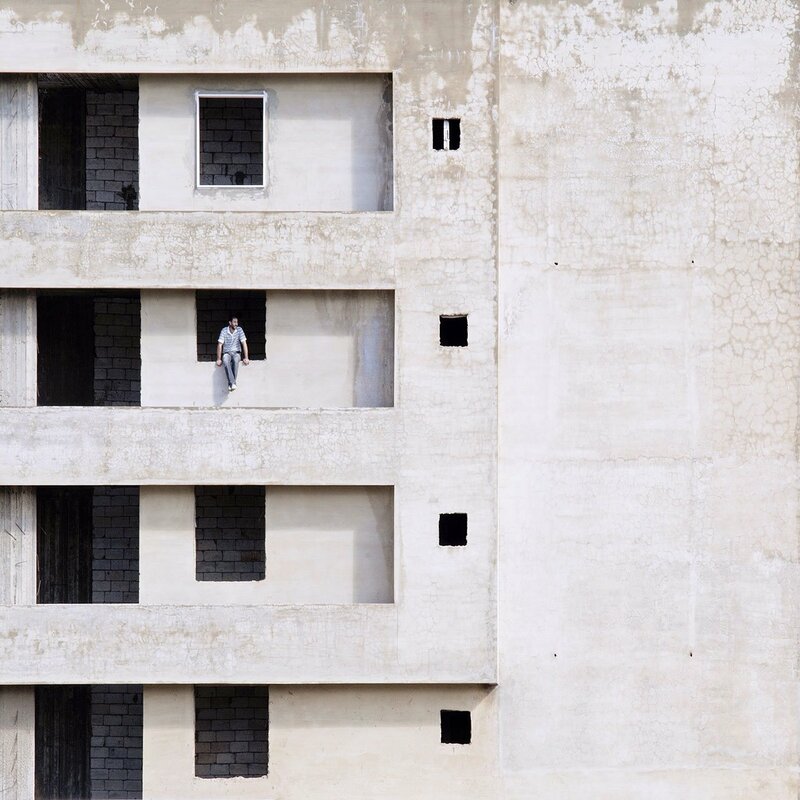 With the phrase “it’s not what you see but how you see it” as his motto, Beirut-based photographer Serge Najjar captures random moments and details of everyday life with a particular emphasis on architecture and its relation to human measures. A lawyer by trade, Najjar likes to go on a drive every Saturday with his camera in hand and explore his surroundings; he then posts the results on his Instagram account @serjios, which he started in 2011 (he has over 58,000 followers). Although his images seem carefully prepared and set, most of them are in fact unplanned, and as the photographer confesses, most of the people in his images are complete strangers to him. 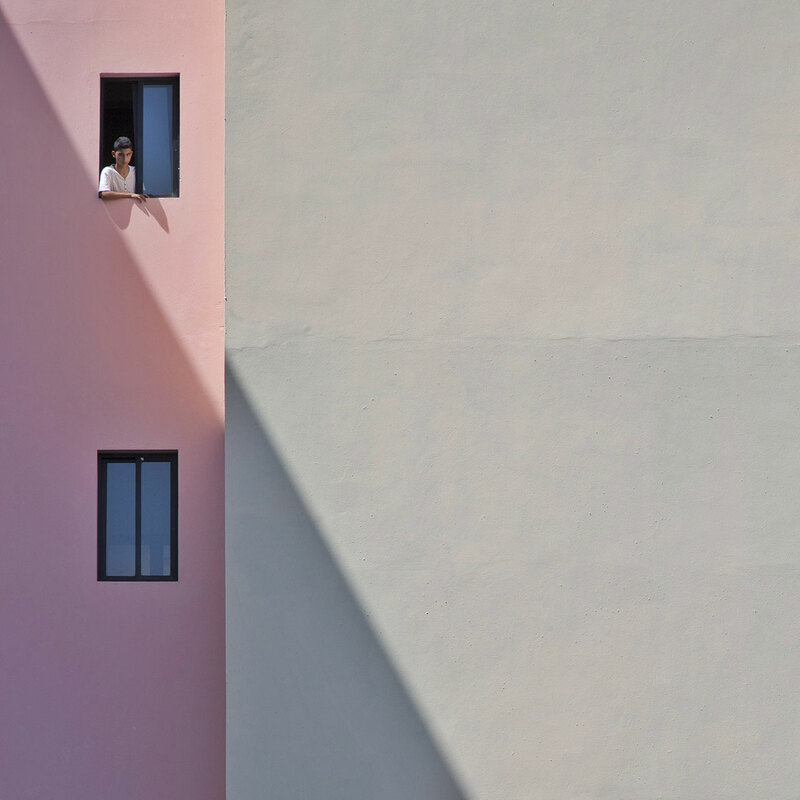 Angel, photo © Serge Najjar. 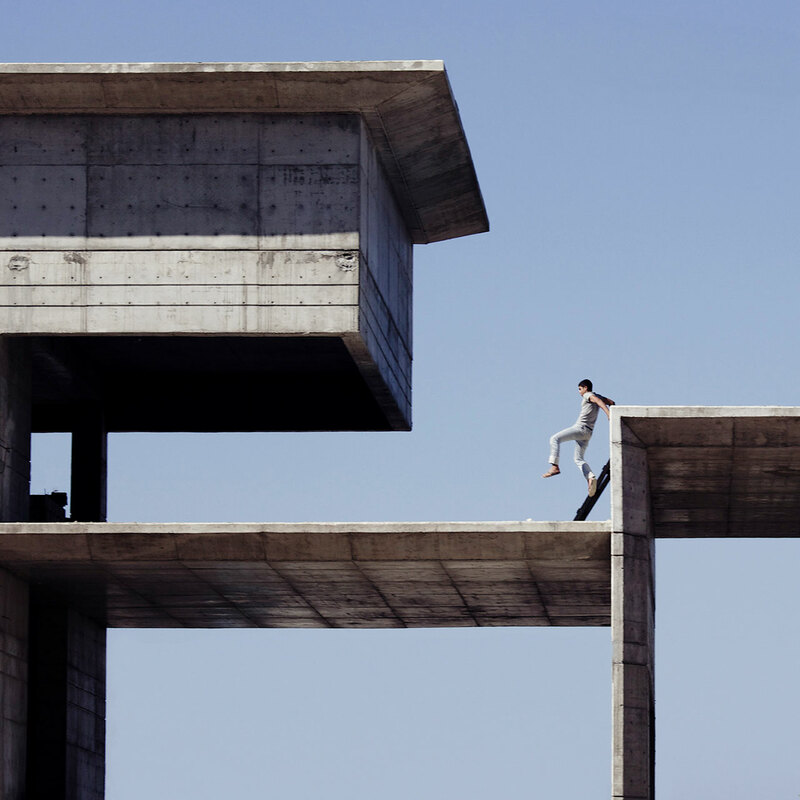 Escaping flatland, photo © Serge Najjar. Patiently waiting for interesting events to happen by chance reflects Najjar’s philosophy of being “faithful” to what he sees and searching for surprise and beauty in what would generally be considered common or even ugly. 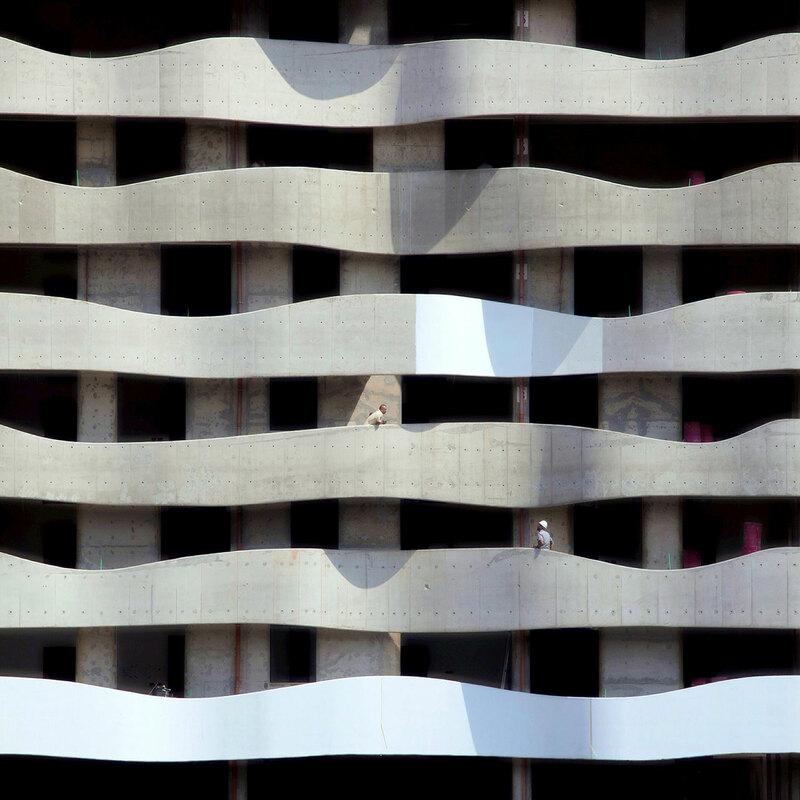 By focusing on certain parts and details of a building —usually under construction and from quite unexpected and inventive angles— Najjar creates striking abstract images that reveal different ways of looking at our built environment. He manages to achieve this not only with generic, unknown buildings, but also with well-known and much-photographed landmarks: for example, his images of the Palazzo della Civiltà Italiana in Rome and the German Chancellery in Berlin perfectly demonstrate how his ideas of scale, vantage point and focus offer a fresh, surprising look at the buildings we live in and walk past every day. 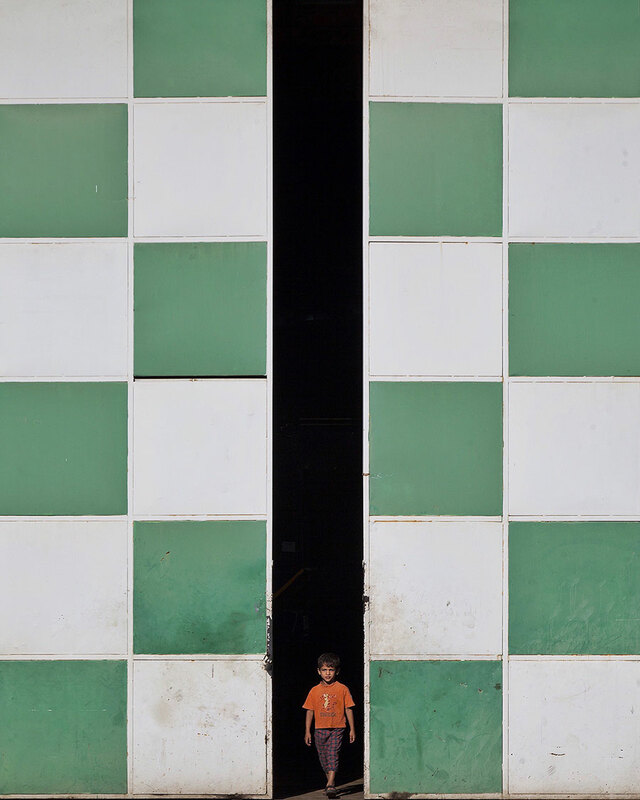 Chess, photo © Serge Najjar. 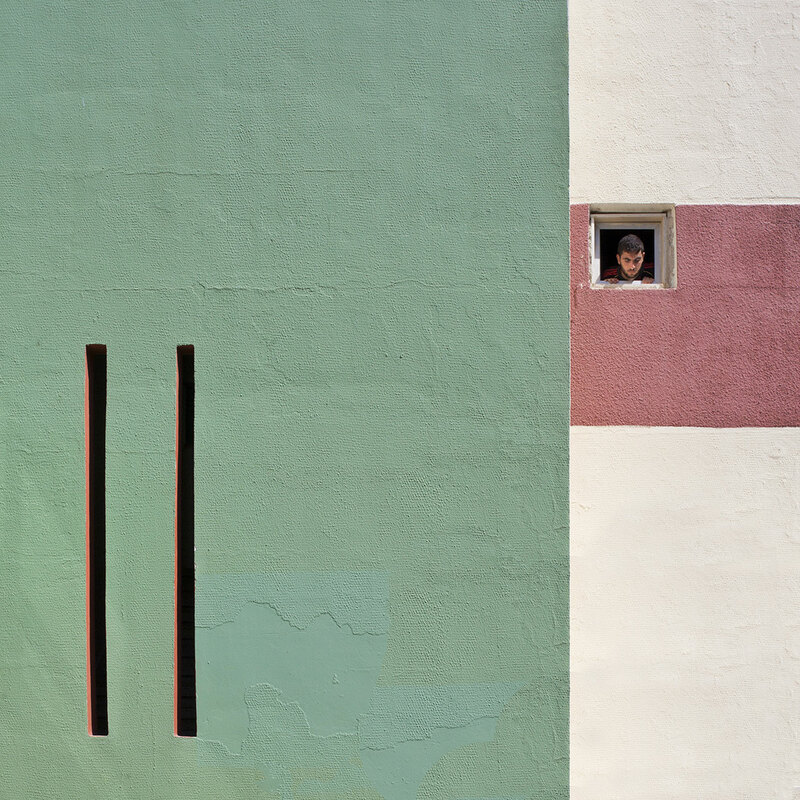 Double L, photo © Serge Najjar. In almost every image, Najjar includes one single human figure, which he brings into a dialogue with the architecture’s geometry and volume; as he told Hyperallergic a few months back, this, for him, adds “warmth and scale” to the architecture. However, each and every arm and torso poking out of a window or peeking over a wall in Najjar’s images seems to be mocking the building it is coming out of. Perfectly aware of this “thin line” between the carefully planned and meticulously constructed buildings we erect on the one hand, and the haphazard nature and absurd reality of human life on the other, Najjar seems to be trying to find the common ground between the two —in itself a rather ambitious, if not impossible, task. 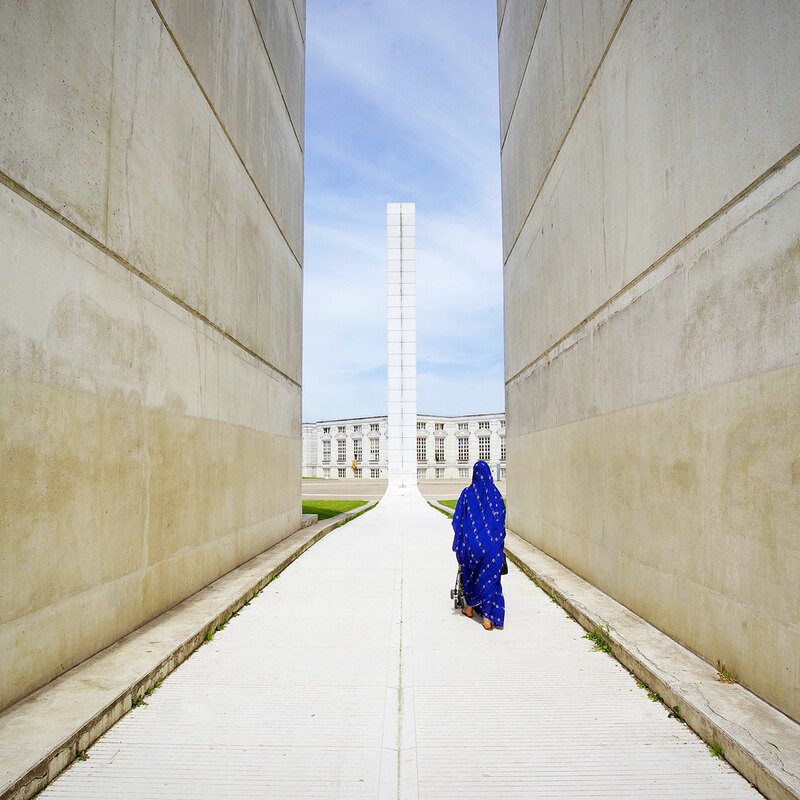 Ethnic concrete, photo © Serge Najjar. 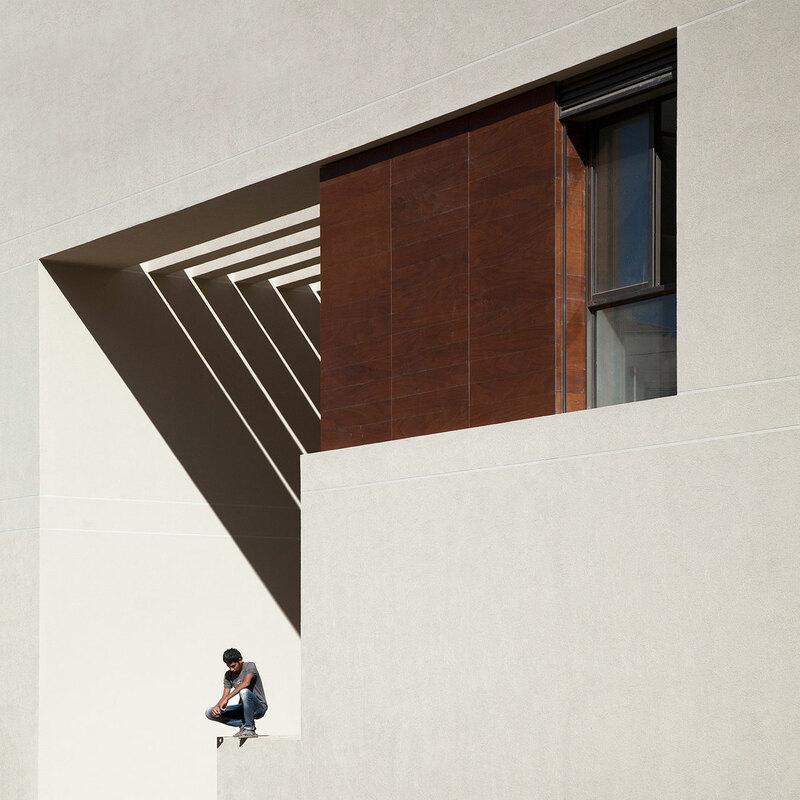 Morning shadows, photo © Serge Najjar. 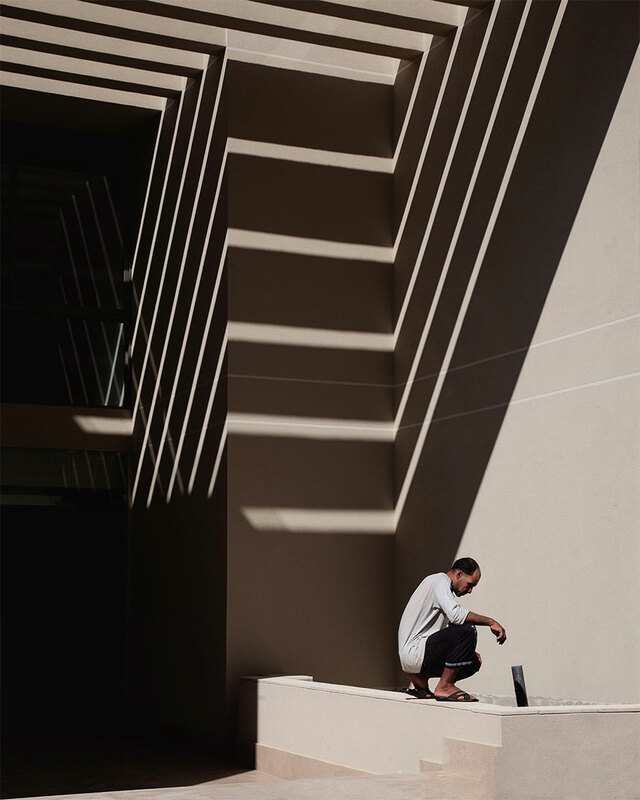 Man and shadows, photo © Serge Najjar. 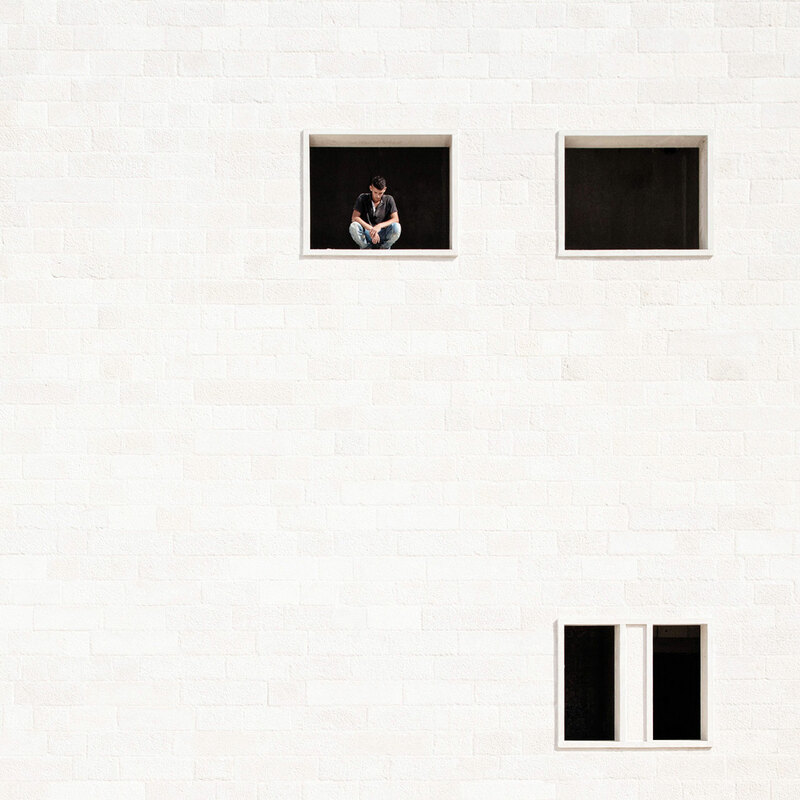 White encounters, photo © Serge Najjar. 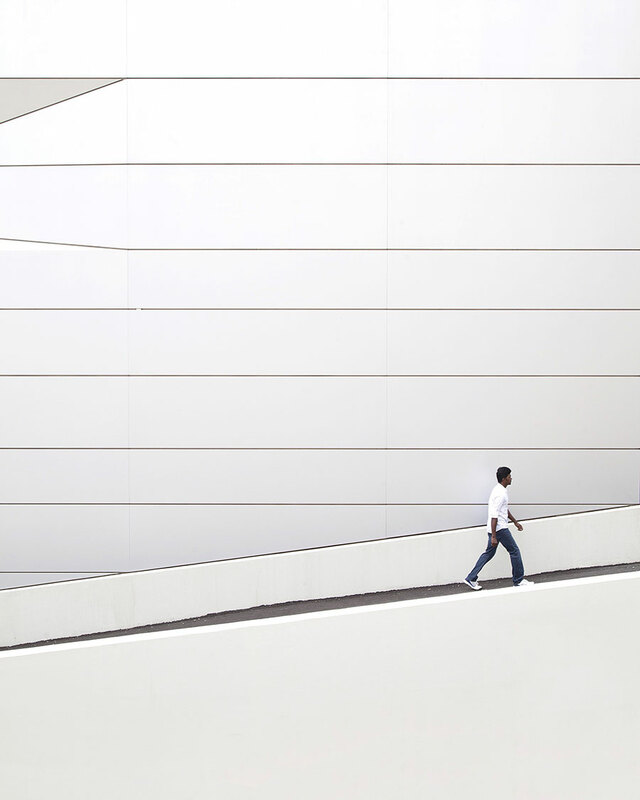 Walking on a living canvas, photo © Serge Najjar. 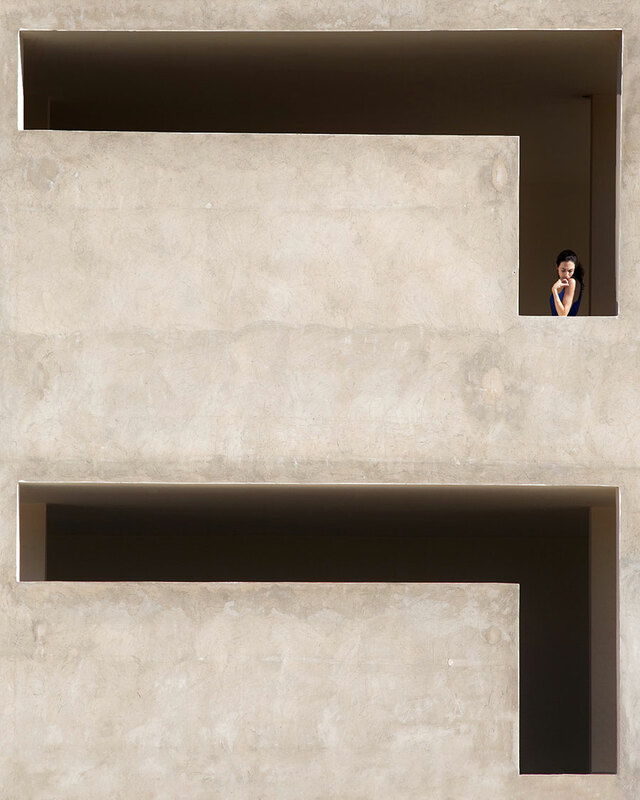 Tribute to Fontana, photo © Serge Najjar. Red box, photo © Serge Najjar. Red square, photo © Serge Najjar. 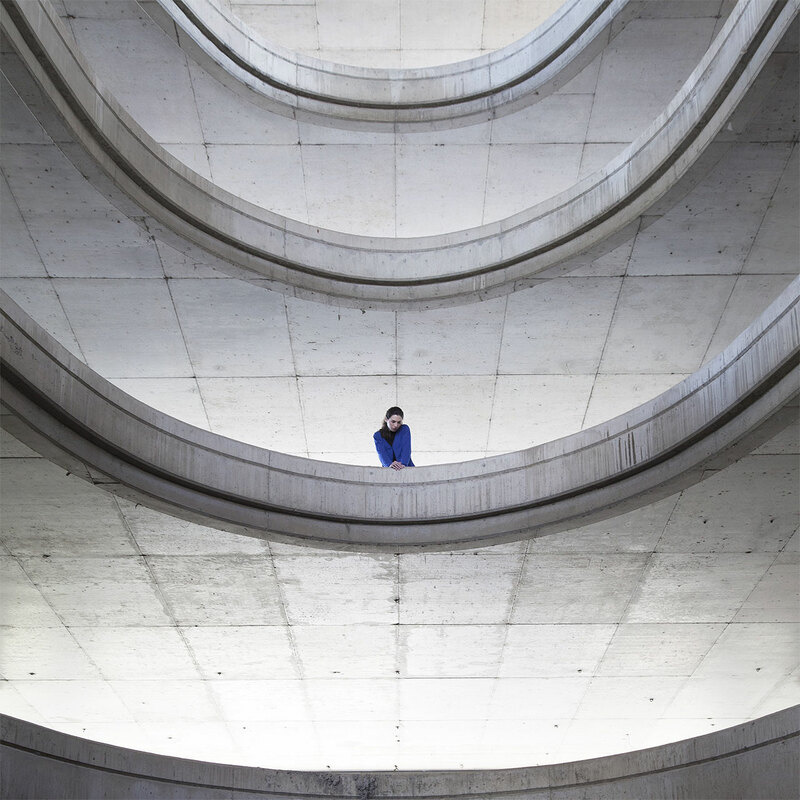 Between concrete, photo © Serge Najjar. 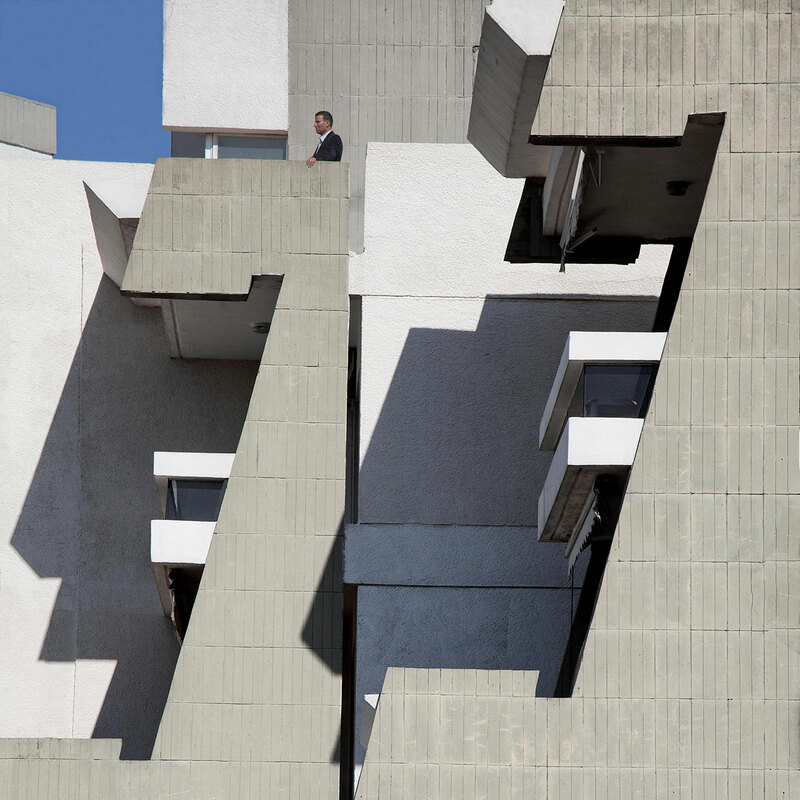 Concrete forms, photo © Serge Najjar. Places of the soul, photo © Serge Najjar. 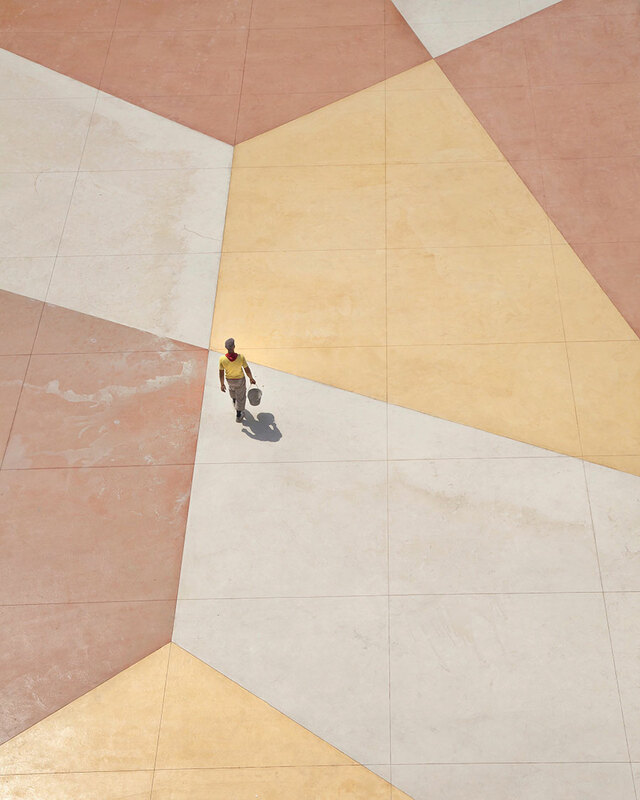 Shadows above, photo © Serge Najjar. 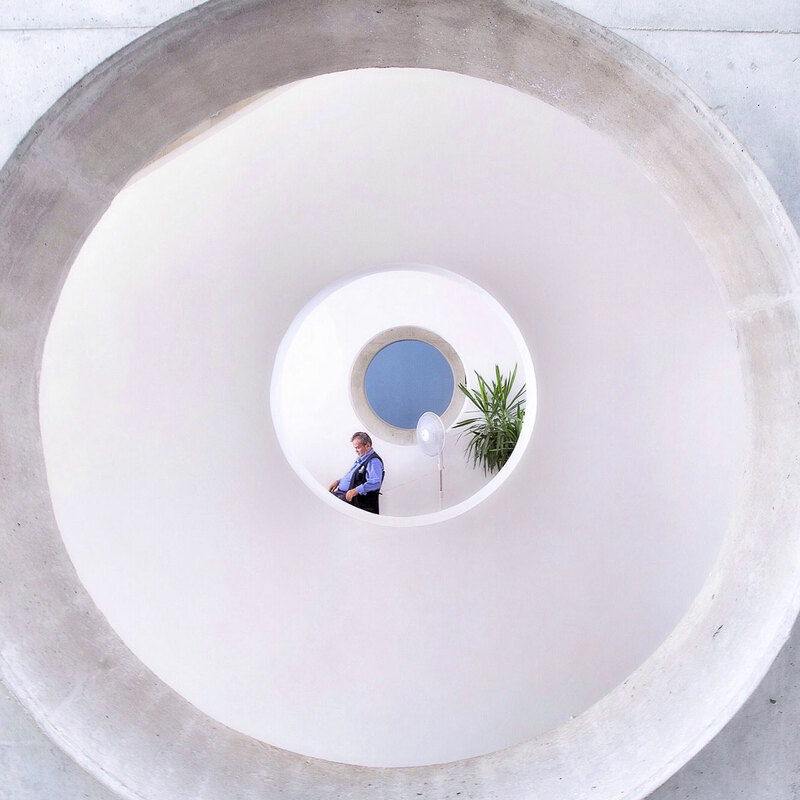 Point of view, photo © Serge Najjar. 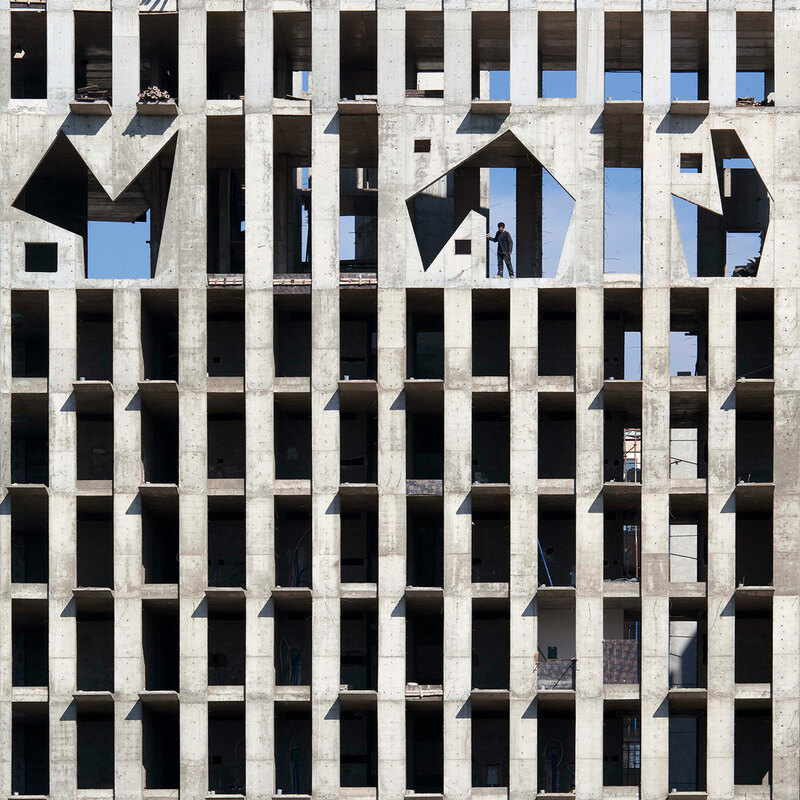 Shadow blocks, photo © Serge Najjar. 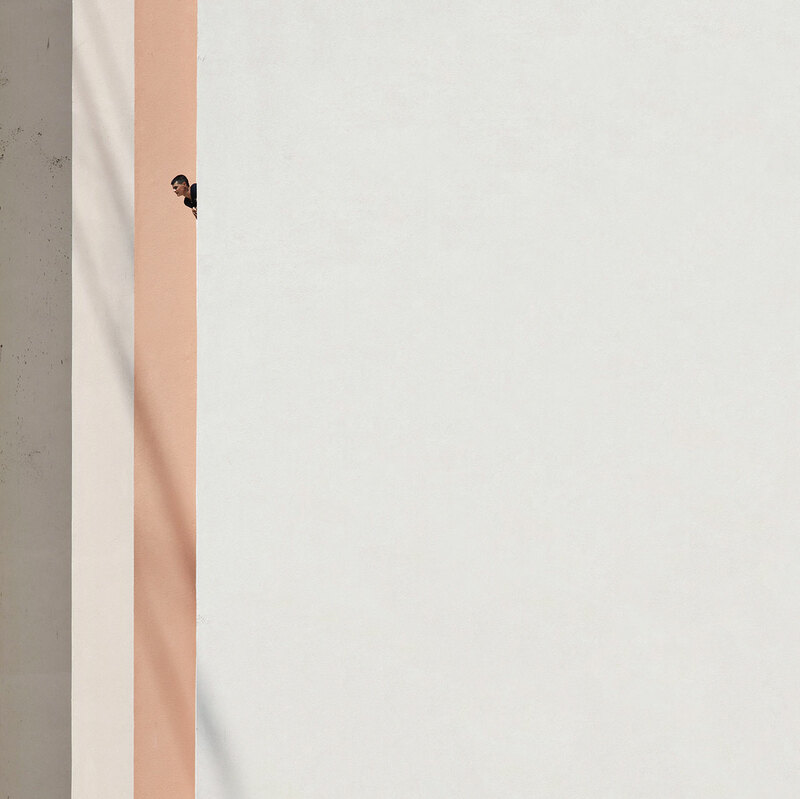 The hole in the wall, photo © Serge Najjar. 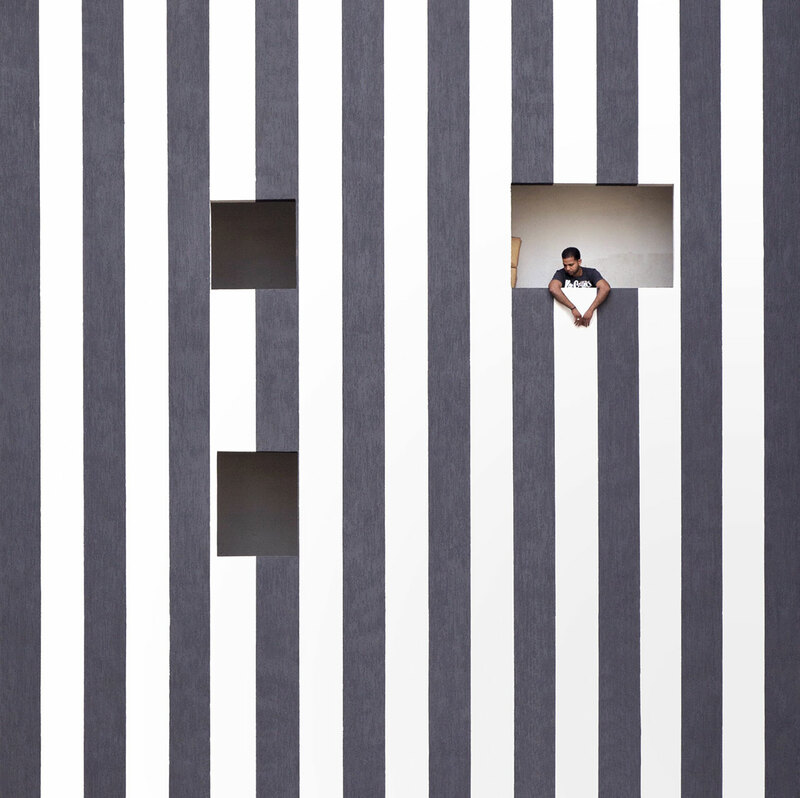 Zebra facade, photo © Serge Najjar. 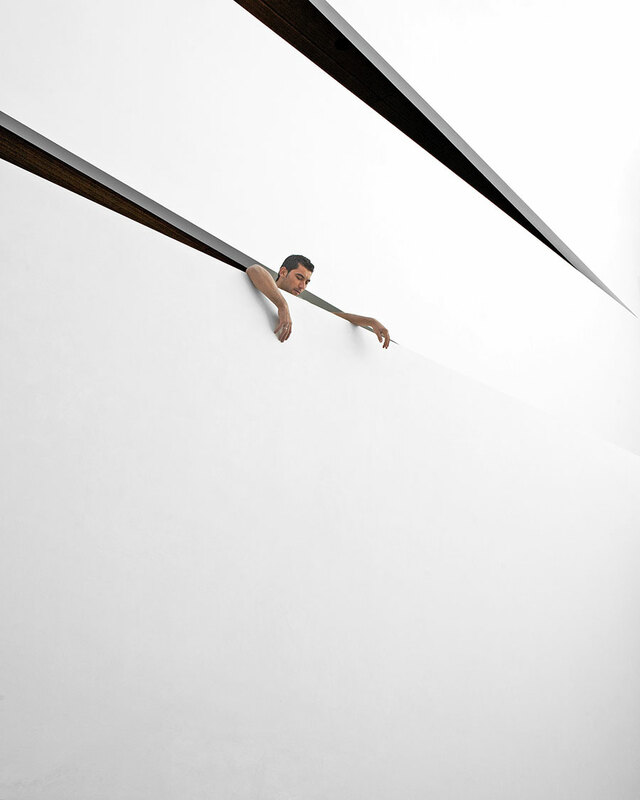 The sleeping man, photo © Serge Najjar. Road to sky, photo © Serge Najjar. 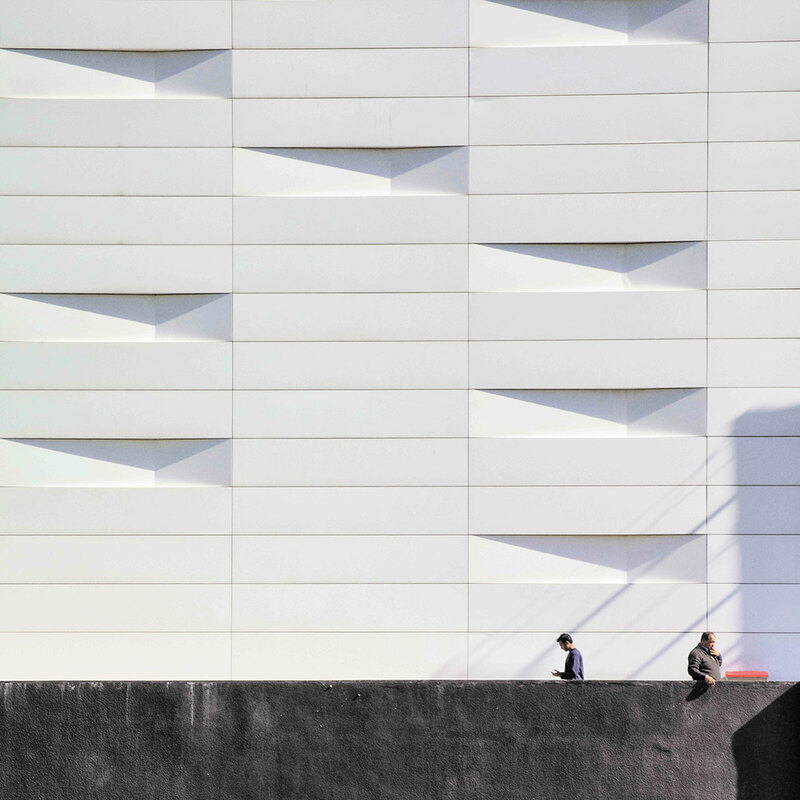 Wavy facade, photo © Serge Najjar. 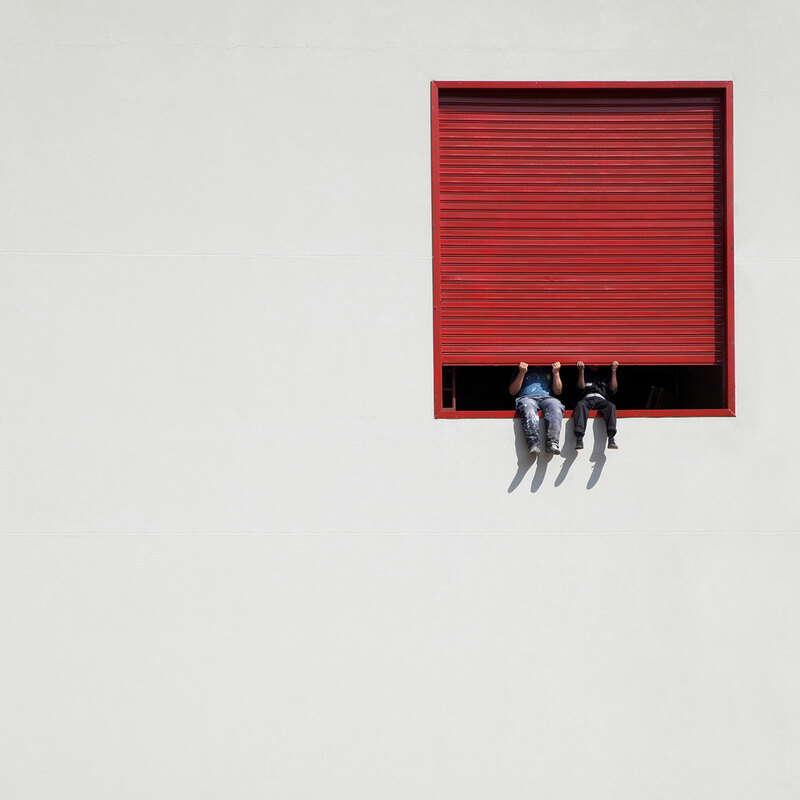 Hanging out, photo © Serge Najjar. 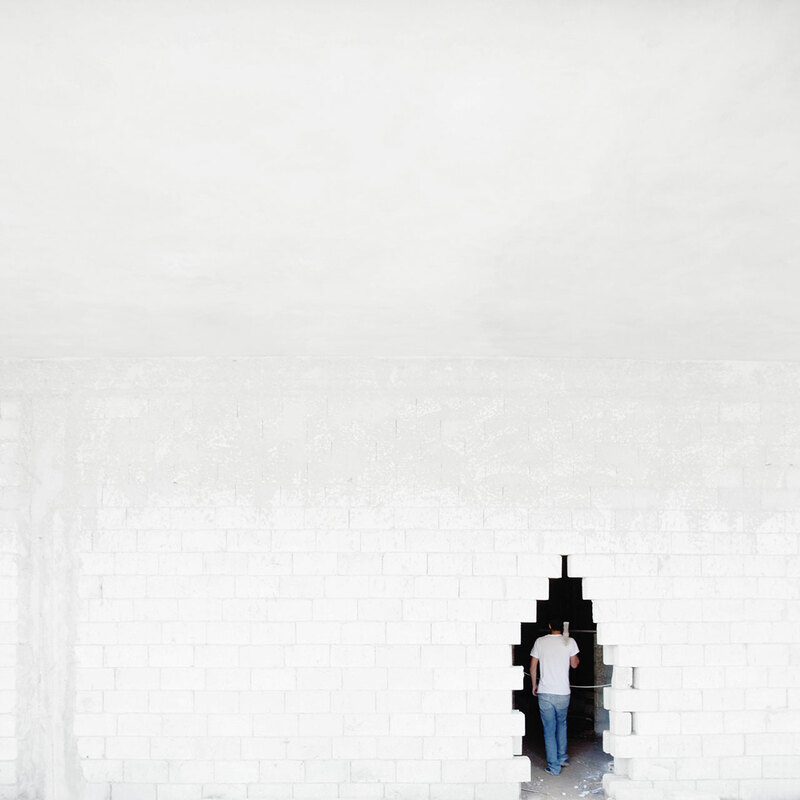 White wall black thoughts, photo © Serge Najjar. 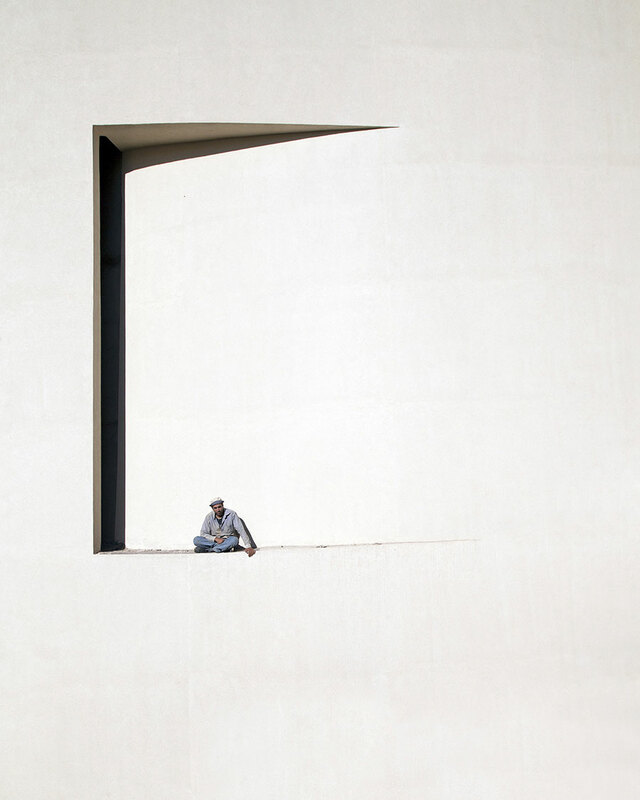 Meditation, photo © Serge Najjar. 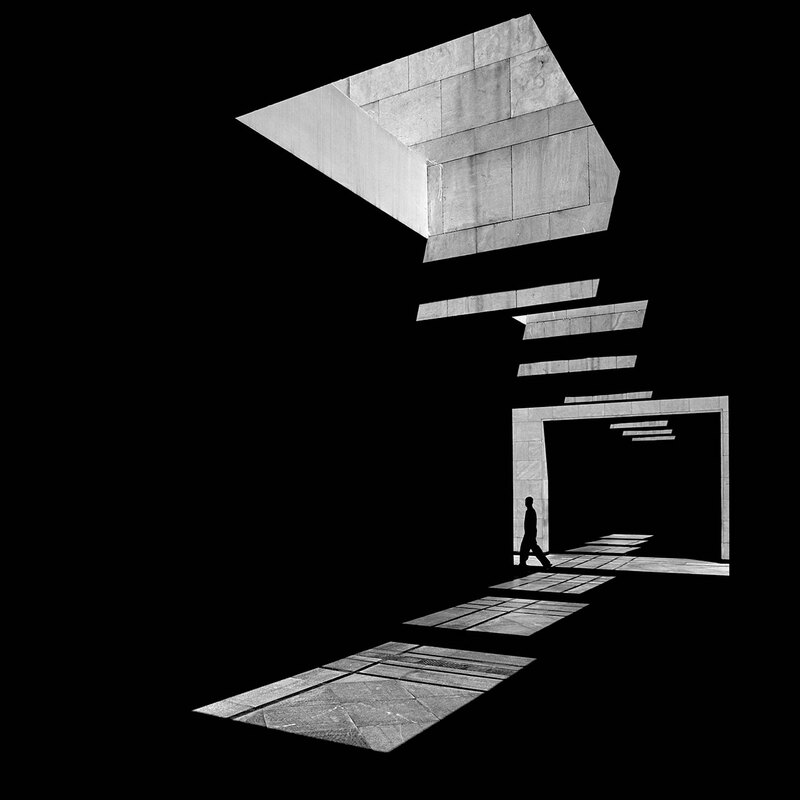 The architecture of light, photo © Serge Najjar.